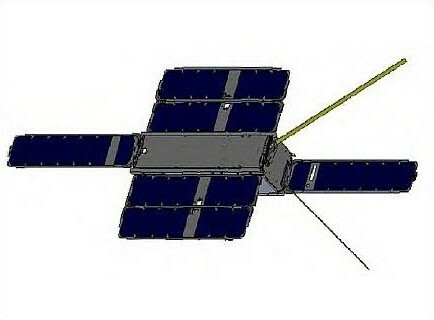 A 3U CubeSat, STARE B is the second in a series of Space-Based Telescopes for Actionable Refinement of Ephemeris spacecraft. The satellite weighs 4 Kilograms and features four deployable solar arrays. It is carrying an optical imaging payload that will be used to track space debris and other objects in orbit. The satellite uses a full set of reaction wheels for precise attitude control and pointing for imagery acquisition as well as an improved imager. The satellite builds on the STARE A mission that launched in 2012. The project is managed by the Lawrence Livermore National Laboratories.